1. Add all ingredients for the smoothie into a high-powered blender and blitz for 1 minute, or until smooth. 2. 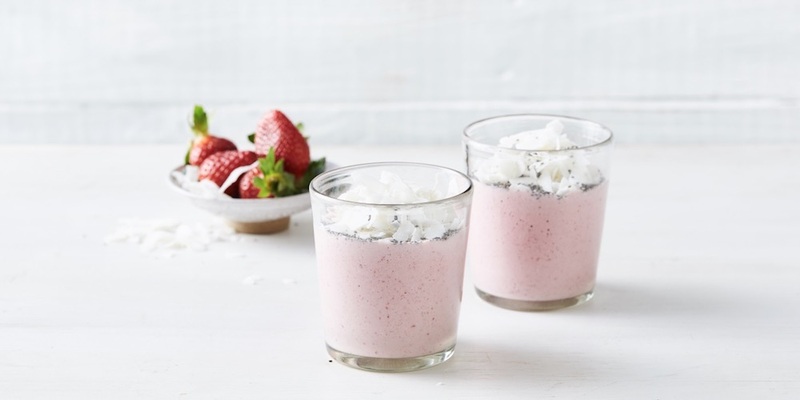 Serve with coconut flakes and chia seeds sprinkled on top.